Kamiab Delfanian, M.D., M.P.H., Medical Director of MN Vascular & Birthmark Center, is a board certified physician with advanced specialty and fellowship training in Vascular Medicine and Vascular Birthmarks of pediatric and adult patients with expertise in the management of childhood hemangiomas, Port wine stains, and congenital vascular syndromes such as KTS and Sturge-Weber syndrome. 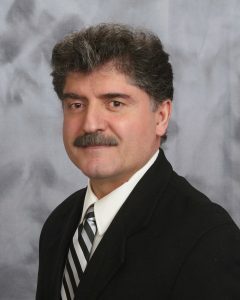 A frequent guest speaker at national and international vascular birthmark conferences, he is also a clinical consultant to the Vascular Birthmarks Foundation (www.birthmark.org). Dr. Delfanian trained at the Mayo Clinic and Arkansas Children’s Hospital Vascular Birthmark Center. He graduated at the top of his medical school class. He is also a graduate of the world renowned Johns Hopkins in International Health. Following his training at the Mayo clinic Dr. Delfanian performed a pediatric clinical fellowship program at Arkansas Children’s Hospital vascular anomalies center. Dr. Delfanian has expertise in the management of complicated vascular birthmarks and vascular wounds. He was the primary investigator collaborating with colleagues at the Mayo Clinic researching the efficacy of Bio-engineered Human skin equivalent in treating complicated leg and foot ulcers. As a consultant in international health with advanced training at Johns Hopkins, Dr. Delfanian delivers volunteer medical services and is dedicated to educating physician colleagues on annual missions to developing nations. He is fluent in 5 languages and has over 20 years of clinical and teaching experience. Dr. Delfanian is the 2012 VBF Physician of the Year and volunteers his medical expertise for our annual VBF Conference and Clinic.